Want to make a more successful business? Think constant and strategic innovation. Thinking outside of the box is what will inspire true growth and consumer or customer loyalty to your business. To get you thinking differently, watch how these six companies broke the mold to stand out from their competition. What can you learn from them? Now, did you notice the feature image graphic? This is fantastic. 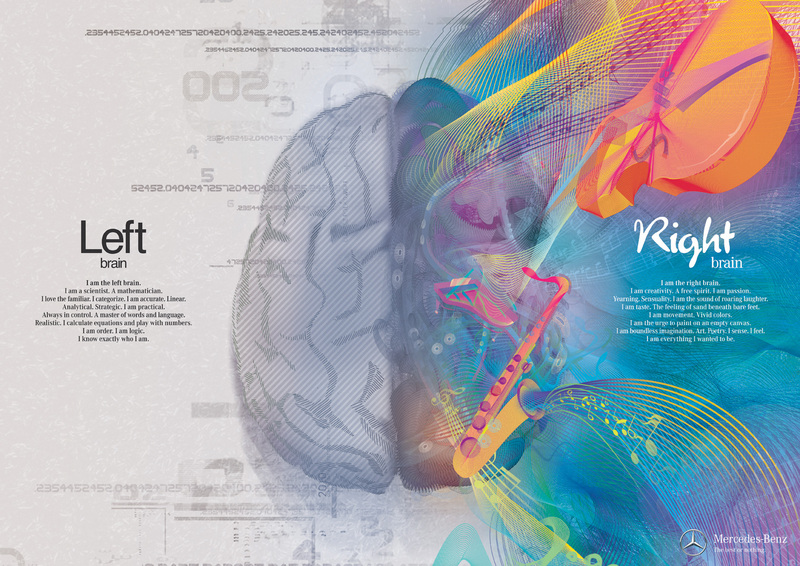 It’s an ad by Mercedes Benz that reminds us that we need to think with both parts of our brain, the left and the right. 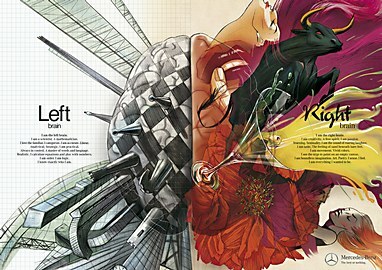 I am the left brain. I am a scientist. A mathematician. I love the familiar. I categorize. I am accurate. Linear. Always in control. A master of words and language. Remember when creating your marketing plan that you’ll need to be both business minded and creative. Make your customers feel good about working with you from both a logical and personal level. « What business are you really in?